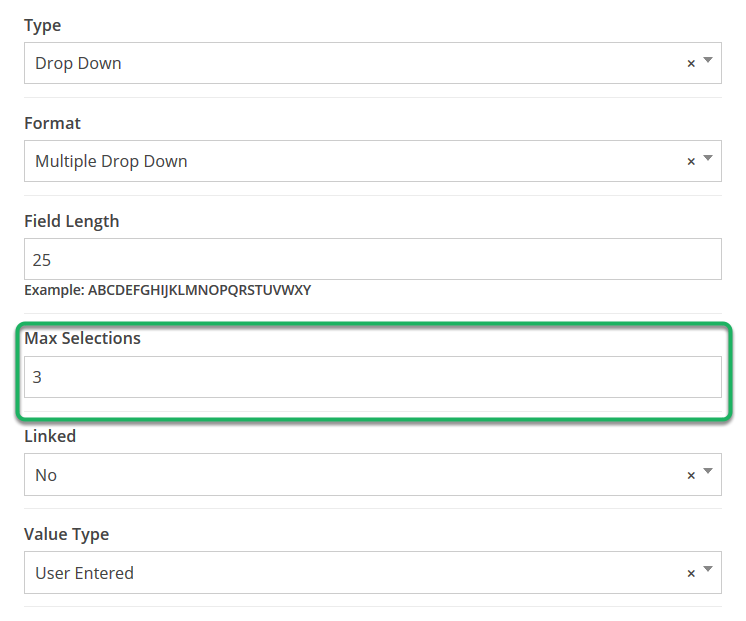 Documentation and SupportReleases 2015-09-29 ReleasesYou can now set a maximum number of selections for 'Multiple Drop Down' field type. 1. When creating the field, set the maximum number of selections. 2. When adding or editing a row, an alert will tell you when you have reached the maximum number. Prev: Retry business rules will now notify you of completion. Next: You can now enter the exact time a scheduled job will run when setting it up.